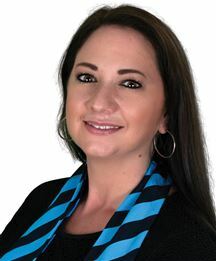 Tiffany has been in Real Estate Rentals for the past 4 years, bringing her vast experience to her clients. Passionate to assist her Landlords to obtain good tenants, as well as assisting her tenants to find a property that they can call home. With great knowledge of Ballito and it's surrounding arias, Tiffany can help all her clients with their needs and requirements. As a new resident of Ballito, I know how important it is in finding a place to call home. Being passionate about helping people reach their goal of living the dream at the Dolphin Coast, I will go the extra mile for my clients. With a background in sales for more than four years, the key to my success is a journey in discovering and identifying your needs and ideals. Working for a large media house taught me the essential value of how important marketing is. Therefor having the media experience, I am bound to give the best exposure for the landlord and matching the potential tenant with ease. I started my career after I have matriculated in 2003 and have grown with confidence and knowledge in the different fields require to serve both Landlords and Tenants by managing their housing needs in the rental market on the Dolphin Coast of Kwa Zulu Natal. Let me proof to you what I can do for you. Why choose me as your letting consultant? I have 26 years experience in the rental/sales of property. I have proof of all my achievements. I am passionate about service. I am sincere and honest and I undertake to keep you informed. I have the following qualifications: C.R.S. (SA) Council of Residential Specialists South Africa. C.R.S. (INT) Council of Residential Specialists International. C.E.A. Certificate in Estate Agency. M.I.R. Member of the Institute of Realtors. 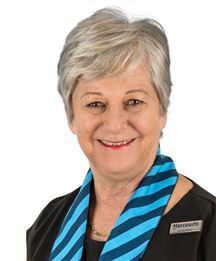 My pledge to you is to use the negotiating skills and knowledge I have accumilated over 26 years in the Property Industry, to guide and assist you to make a sound decision in renting or buying the Property that suits you best. I have experienced tremendous success and satisfaction since starting to help other people get what they want. I realize that before I can walk in someone else's shoes - I first need to take of my own. So allow me to steer you in the right directions.